Derby defender Stefan Galinski has joined Blue Square Bet North Corby Town on loan for a month. 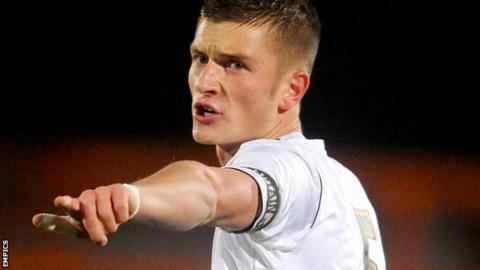 The 19-year-old centre-back, a Polish youth international, is a first-year professional at Pride Park, having previously captained the academy team. The move was set up by then-Corby boss Ian Sampson before his resignation. "He's a big lad and looks like he will be able to handle himself," acting Steelmen boss Chris Plummer told BBC Radio Northampton. "He looked very promising when he trained on Monday, so we hope he can have an impact on the side straight away." Corby are currently bottom of the table, having lost all five matches so far this season.